Racism is an American problem, but it is not a uniquely American problem. Far from it, racism is the humanity's problem. It exists everywhere; America is unique in its awareness of the problem and its attempts to to address it. Racism is rooted in ignorance and idiocy. And if you are reading this and are subconsciously thinking that racism is limited to white people's mistreatment of colored people, you are either an ignoramus, an idiot, or both. Because racism is humanity's problem, it is not confined to any particular race. Having spent considerable time in Dallas's inner city where the population is undereducated (read ignorant), I have seen plenty of racist Black folks who think that the white man is the devil or something to that effect. Idiocy and ignorance are at work here in Moscow as well. About a week ago, one soccer fan was killed by another. The killed man was a slavic Russian. The killer (or killers) were from the Caucus region of Russia, which means that he (or they) had black hair, darker skin, and a muslim faith. So, it seems, the supposed killers were caught, put into jail, and subsequently released because of alleged bribery. That set off a protest, probably because people found police's conduct outrageous. That protest quickly became appropriated by (slavic) Russian nationalists who started chanting "Russia for Russians" and beating up anyone who looked non-slavic, including anyone of color. Russia is a multi-ethnic society. Moscow, because it is a cosmopolitan international center, is even more multi-ethnic than Russia at large. So, the nationalist had little trouble finding folks of non-slavic decent for their misdeeds. But because they are ignorant idiots, they had not counted on the large number of ignorant idiots on the other side. The other side, mainly people with roots in the Caucuses and central Asian regions or Russia, organized a larger counter protest (ironically in the "European Square") and, true to their idiotic ignorant form, decided to beat up anyone who looked slavic. To get to their meeting points, these multicolored idiots use the metro. As such, the metro has become less safe as anyone is subject to a random beating if a sufficiently large group of ignoramuses from one side get on to the subway car and decide if they do not like someone of the others side. This has put further pressure on Moscow's already congested roads and has created the fourth simultaneous road doozie in December (first, the roads are already congested; second, they are now frozen; third, it is holiday shopping season). In any case, getting around Moscow has become a bit of a hassle. I used the metro last night and found the passengers rather jittery. A popped balloon caused a small overreaction in a crowded, central metro station. A large and festive Jewish center near my house has gone dim and low-key lately. And, because my complexion is dark and I could be pinned to the Caucuses region, I have observed a new phenomenon in the last three days: People that look like me and who used to greet me in Russian are now greeting me in Arabic. A Harbinger for Future Russia? The situation is ultimately absurd: Idiotic "nationalist" are ultimately pursuing a self-defeating goal. If they get their "Russia for Russians" goal, there will be no Russia left as we know it today. The nationalists are actually anti-nationalists that, if successful, would force the breakup of Russia. 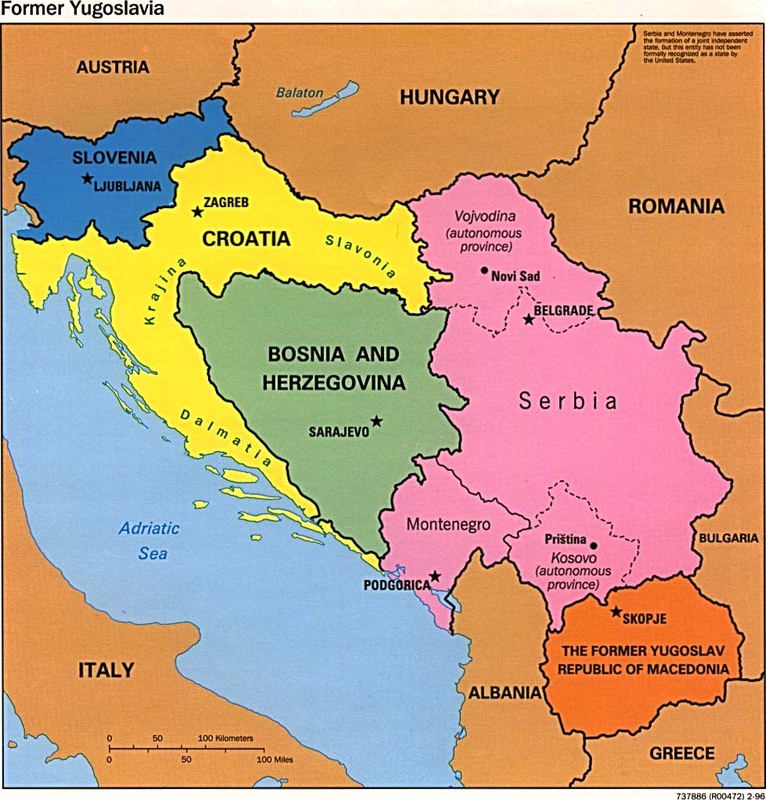 The former Yugoslavia and its subsequent breakup should be a good object lesson for them. But, as a smart friend pointed out, these protests, while couched in ethnic terms, probably have a deeper social tension root. In the US, debates about racism and immigration reform become more accentuated during harder economic times. Questions like "who's going to pay for their healthcare and children's schooling" become central debate points during harder times. Clearly, there are many tension points in Russia, the biggest one being an increasingly inefficacious and corrupt government. The phrase "People that look like me and who used to greet me in Russian are now greeting me in Arabic" is really worth cheering! We were all friends. We were all fighting for each other as Hollywood heroes. But we were so pissed of by our f... cartoon "peace" and our f... cartoon "freedom" that we were all (and me personally) willing to destroy and fight everything around us. We were not against splitting into 15 states, and we could split in 1000 states more. Now, in Russia, there is no problem between Christians ant Muslims, for instance. I believe, there is no problem between Slavic and non-Slavic nations. We all have our friends on both sides. What forces our youth to come to the squares these days is the very same strive for freedom, as we had 20 years ago. We are all full of their lies as we were in 90th, when we all lost our birthplace. According to classics, counter-revolution gets its power soon after the revolution. We’ll have to handle it, or it will handle us… We’ll see. You need to "dress up", go undercover, and write the definitive tome "Russian Like Me".